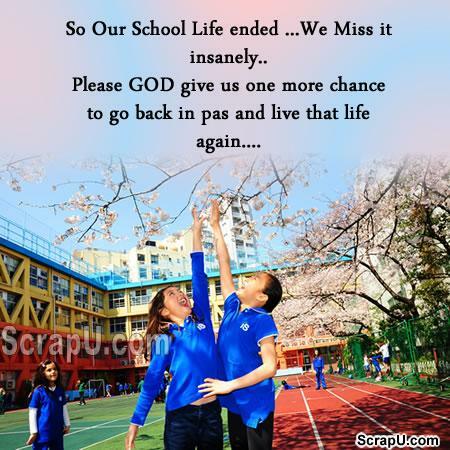 So our school life ended..we miss it insanely...please god give us one more chance to go back in past and live that life again..
School life is over & now no more school ,every fun is over and we feel like that we are missing a part of our life. Those were the most amazing days of our life when there was no responsibility of real world. I really miss my school days. 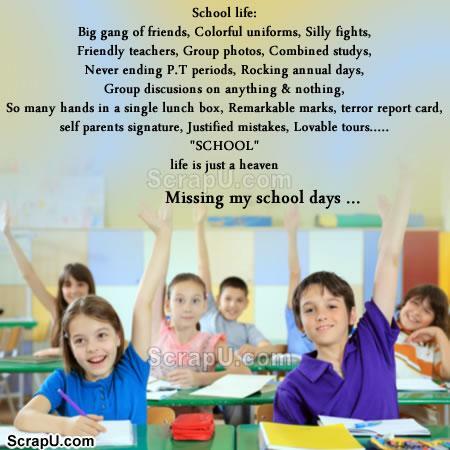 If you have not enjoyed group punishments..than seriously you have missed the best part of school life.